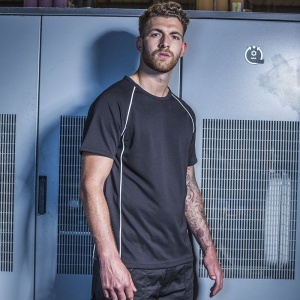 Nice looking sports t-shirt with Coolplus®, specially modified polyester fibres enable rapid absorption of sweat from skin surface. 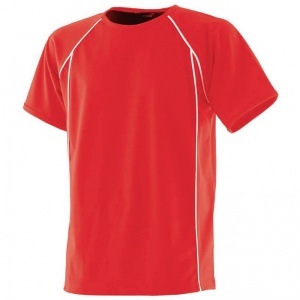 It has Contrast piping detail down front and back panels and along raglan seams, raglan sleeves, sports’ fit. Great for Embroidery or Transfer Printing. Chest (to fit) S - 38", M - 40", L - 42", XL - 44", 2XL - 46/48"